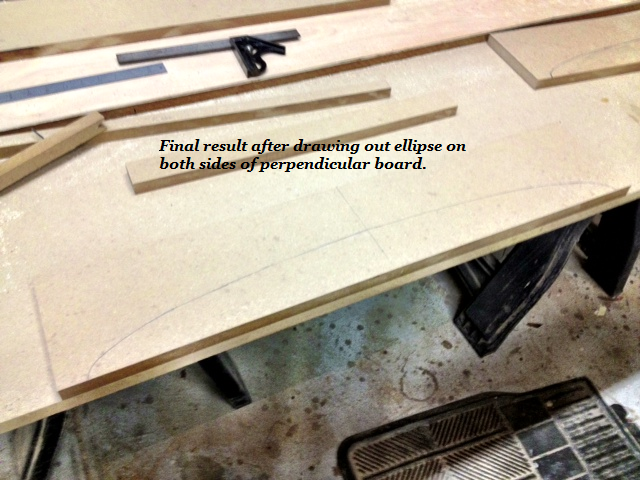 Below are pictures showing how to create a large ellipse (half of one but can also be used to draw a full ellipse). I used this technique to make arc sections in a set of bookcases. 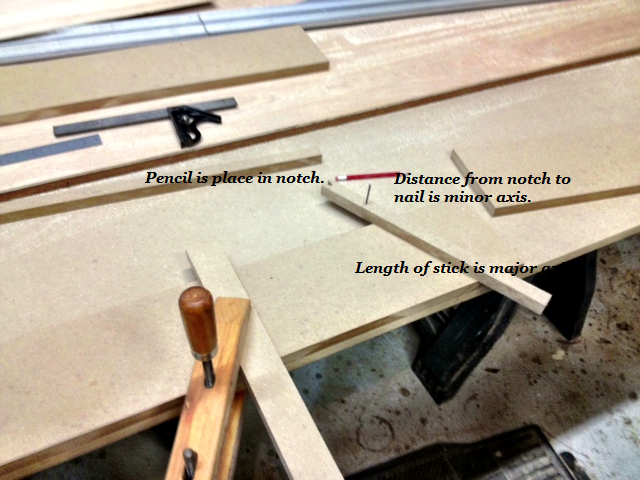 No complicated jig to build; just a board, clamp and stick with slot for pencil and nail to set minor axis length. 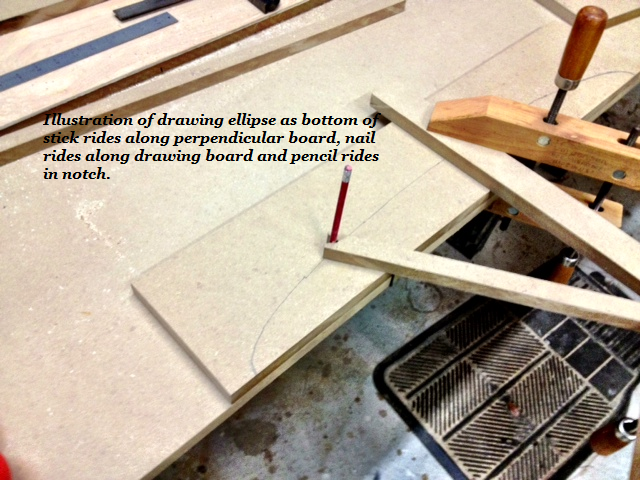 The Y Axis represents a guide board perpendicular to board upon which you want to draw the ellipse. 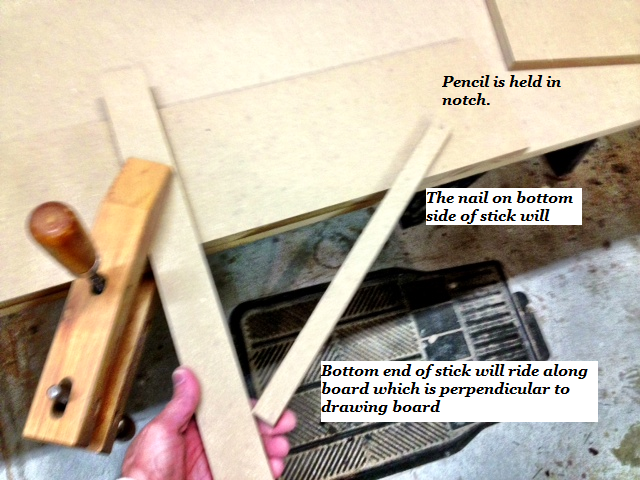 Point E3 is the notch for the pencil. See diagram below for an illustration. 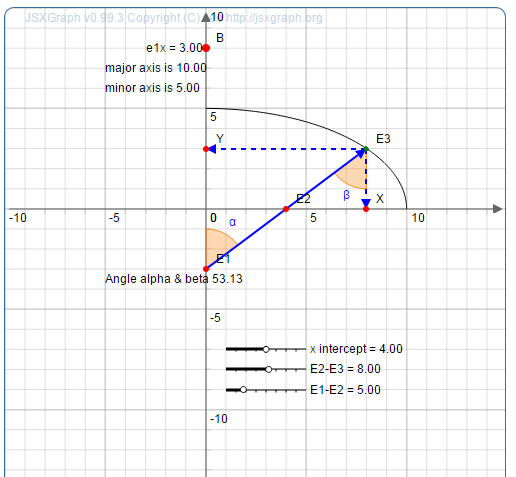 Page where you can simulate the drawing of the ellipse with different parameters.